Google AdWords’ Dublin support team sent out an email to their agency partners, yesterday, stating that dedicated account management support for agencies will be stopped in the new year. 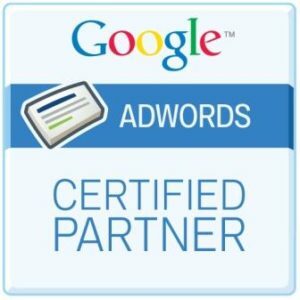 Until now, Google provided most AdWords specialist agencies, with a dedicated contact person or account manager, who would provide support to the agency and act as a single point of contact to answer questions regarding Google AdWords campaigns that may arise from time to time. Some of the most commonly asked questions are about payment options, quality score, the reason why an ad did not show up and AdWords advertising policy. Whenever a supported agency faced any problem with the AdWords accounts they managed, they could contact their account manager and the account manager would personally attend to these queries and help solve them. The number of agencies using Google AdWords is increasing rapidly. While this is a good thing for Google, it also means that they have to improve their infrastructure in order to provide support to all of these agencies. It is becoming increasingly difficult for Google’s current agency management team in Dublin to provide each agency with a specific contact person. So, instead of investing money into recruiting more account managers, Google has decided to take a giant step backwards and return to their previous model of poor support. As with any negative development, Google has not made a big announcement about this change to their agency support structure. Instead, they’ve sent an email and when questioned about the change, have provided scripted answers about “striving to improve the way agencies are supported” and having “invested heavily in improving” the agency online support resources. Effective 1st January 2011, the AdWords Support System will work in a call centre like manner, where the caller from any agency will be assigned to any one of many agents. The agent should be able to answer most of the questions raised by callers but will not have any history or prior understanding of the agency’s client accounts. An Agency Help Center has also been created to provide agency-specific self-service. Educational materials to help agencies manage their client accounts have also been devised. A Google Agencies programme will also be launched soon. Those who sign up for it will receive educational information and newsletters in this context. From January onwards, most agencies will have to visit the Contact Us page in the AdWords Help Center. The technical support team will provide responses in due course. As in the past, this could mean waiting for days before getting any sort of response back from Google. The support numbers will also remain active, except that instead of dialling an account manager’s extension, the caller will only have the option to enter their MCC (My Client Centre) account number.